This powerful BitOptimizer feature enables you to restore your PC operations to a previously saved work point, as well as previous install and uninstall points. By default the software is set to create a restore point automatically every time an item is cleaned after a scan––ensuring you are protected by giving you the option of returning to specific past system settings if you need to. 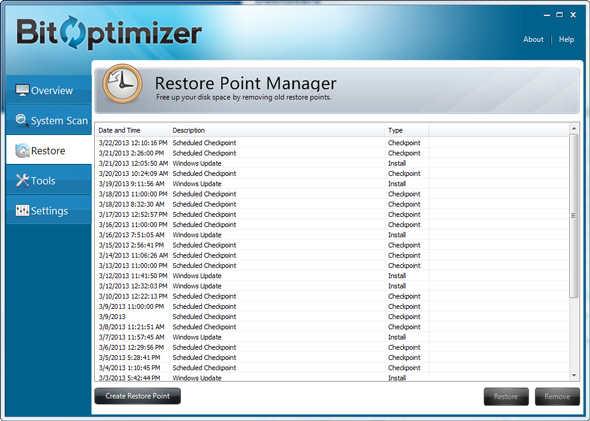 You can also easily manage all these system restore points to free up more disk space.